We are a truly independent laboratory offering honest scientific analysis with no financial ties to government or large corporations. CWC Labs specializes in the analytical testing of foods and dietary supplements with an emphasis on organic products. 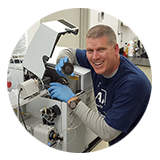 Our lab was built from the ground up by Mike Adams, the "Health Ranger," active AOAC member, author of Food Forensics and developer of two patent-pending dietary supplements that offer protection from toxic elements (Heavy Metals Defense and Cesium Eliminator). Adams serves as the Lab Science Director and oversees the operation and calibration of all analytical instrumentation. Unique to CWC Labs is its founder's extraordinary knowledge of food composition, nutrition and the toxicity of certain chemicals and elements. Adams can not only tell you what's in your product; he can help customers make strategic formulation decisions to eliminate virtually all toxic substances from the final product. 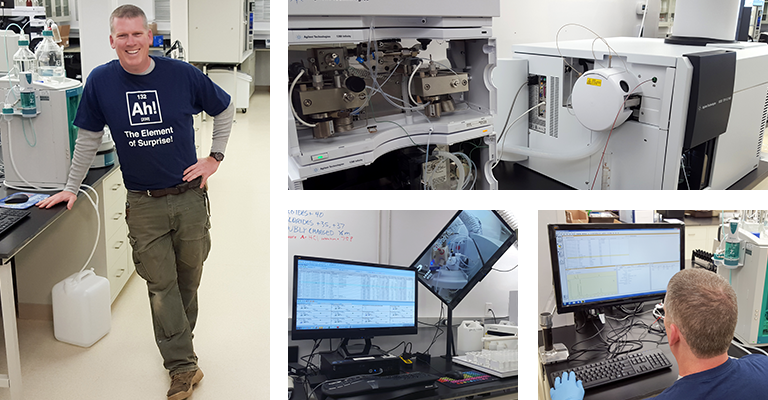 The lab's mass-spec Time-Of-Flight instrumentation provides wide-ranging screening capabilities for unknown substances. Using various scientific methods, we can screen almost any liquid or solid sample for over 25,000 known chemicals, covering pesticides, industrial chemicals, recreational drugs, food additives and more. While many other labs with much older equipment are used by food companies who don't really want to know what's in their products, CWC Labs is for customers who want to know exactly what's in their products, down to single digit parts per billion (ppb) concentrations. We run equipment that's capable of detecting mercury as low as 50 parts per trillion. CWC Labs accepts commercial clients only. It does not offer testing services to individuals. CWC Labs offers extremely accurate quantitation of heavy metals, minerals and elements, achieving sub-ppb quantitation limits for many elements. LC/MS-TOF instrumentation can also screen samples for tens of thousands of known industrial, agricultural and pharmaceutical chemicals. Quantitation of chemicals is also available for over 250 common agricultural pesticides. After two years of laboratory compliance work and extensive quality control development, CWC Labs has been awarded the highest standard of international laboratory accreditation: ISO 17025. ISO 17025 is an international standard for laboratory excellence that requires years of preparation and practice, extensive documentation, a detailed quality control procedure for all analytical methods, rigorous training of lab personnel, documented traceability of all instruments and reference materials, plus proven competency and accuracy in analytical testing via high-end instrumentation. This international accreditation standard is beyond the scope of most U.S. university labs. Our laboratory results can be cited as evidence by any court of law, anywhere in the developed world. CWC Labs relies on state-of-the-art laboratory and analytical methodologies such as EPA 200.8 and AOAC 2013.06 to achieve extremely sensitive detection limits and accurate analysis.